The adventure of a lifetime might just end in turmoil, but when it includes meeting your future mate, who gives a hoot? For a librarian with a focus on rare magic books, Olivia’s new job is a dream come true. She has been hired as part of a team to help manage the safe transportation of the collection of books owned by the Vampyre sorceress Carling Severan. The fact that the library is located on a mysterious island in an Other land only heightens the adventure. Head of security for the expedition, Sebastian Hale is tired of his rootless life of adventure and finds himself attracted to the calm, beautiful librarian. But he is living a personal nightmare. 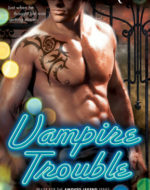 He has been hit with a curse that is slowly taking away his sight, and he doesn’t know if he will survive the results. But the powerful feelings growing between them, along with Sebastian’s inner turmoil, take a backseat when they learn there is a traitor lurking among their expedition team. With Elder Races politics and a priceless library on the line, they’ll have to rely on each other to survive the experience. Warning: When a librarian who likes to nest meets an owl Wyr who has always lived for adventure, their romance won’t just be fly-by-night. Olivia Sutton is a librarian as well as a witch. When Olivia’s friend, Grace Andreas, set her up to meet Carling Severan, former leader of the Nightkind, to be part of the expedition to return to the Other land to retrieve Carling’s extensive collection of magical books, Olivia thought she was setting off for the greatest adventure of her life. Going to an Other land and getting a rare view of Carling’s vast collection of mystics books, including ancient Egyptian papyruses, is a dream come true for a witch-librarian. She couldn’t know that that adventure would include a gorgeous Wyr named Sebastian Hale would was heading up the security team, and who would turn her world upside down in the most incredible way. Nor did she realize that she would actually be making friends with a oddball Djinn. But she also couldn’t know that Julian Regillus, the current Nightkind King and Carling’s child, would do everything he could to stop Carling from getting those books. This will definitely change Olivia’s life, as long as she can survive the adventure. 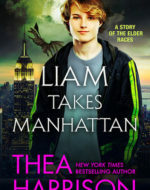 I really enjoy Thea Harrison’s Elder Races series and this was a great short short which I read in an afternoon. Sadly, it reminded me that I missed the series since catching up with Oracle’s Moon. 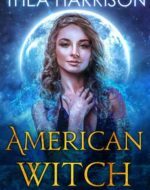 This story also gives us a quick update with Grace Andreas and the Djinn Khalil from Oracle’s Moon and how their lives have changed since Oracle’s Moon. 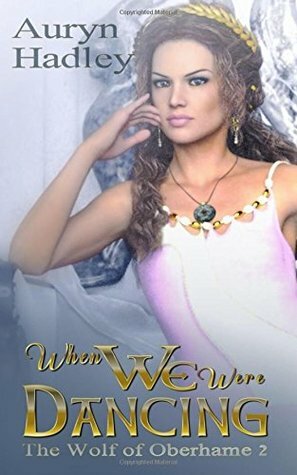 Like all series, there are characters and stories that I liked more than some others, and even though it was a very short story, I really enjoyed the characters of Olivia and Sebastian. Olivia was smart and thoughtful, and willing to give an almost childlike, annoying and temperamental Djinn a chance, and Sebastian who quickly sees how special and unique Olivia is and will fight to keep her. The story also highlighted several times how one moment can change everything. i.e. And the job remained just has he thought it would, mind numbingly routine. Right up to the moment a human witch–a librarian–appeared in a whirlwind of Power and called a Djinn a dimwit. Witnessing that little scene was like having a switch thrown in his head. Just like that, after five years of a dangerous, growing ennui, he came back online, sharper and clearer than he had ever been. Engaged again. Interested. My only problem with this story is the same problem I had with Carling’s story, Serpent’s Kiss, and that is the magical library is underused as a plot point. She has a library filled with magical books, some with light magic and some filled with dark magic which literally call to you to tempt you to come open them and investigate the magic inside, and no one is opening these books. WHAT??? Have someone open the wrong book. Release some dark magic. Cause Chaos. Magical Mayhem. There’s a whole lot of plotline being ignored in the form this magical library. 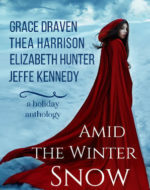 A quick check shows that Thea Harrison has a new novel due out in November featuring Harpie, Aryal and another novella in December featuring Dragos again. Yay! I want to see the dragon baby again. 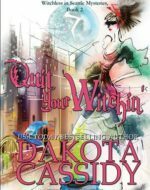 Received ARC from netgalley.com, courtesy of the publisher. Thank you. The protective bubble that Phaedra had drawn around Sebastian’s cabin popped, and a few moments later Bailey pounded twice on the door. Olivia wasn’t ready to let go of him. The hard length of his body against hers, the feel of his arms around her, all answered some kind of urgent question that she hadn’t even known she was asking. Reluctantly, she lifted her head from Sebastian’s shoulder, and they looked at each other. Then, moving with deliberation, he cupped the back of her neck, drew her forward and kissed her. When his firm, mobile lips met hers, she felt another much-needed answer. Her lips parted and he dove into her mouth deeply with his tongue, stunning her with the swiftness of his invasion. Her world whirled in a kaleidoscopic tilt. She hadn’t expected the kiss. She was still amazed that he had confided in her, and that they had embraced. His mouth was set, hard and demanding. Still kissing her, he pushed her back and back, and she complied until she came in contact with the wall. His body covered her. He took her wrists, pinning her arms over her head and shoved one muscled, jean-clad leg between hers. His movements were so aggressive, so surprising, a shaken moan broke out of her. Dear God, he had an erection. The hard length of it pressed against her hip. He lit her world on fire. Everything burned with incandescent light. She wanted to touch his hair to find out if it was as soft as it looked. She wanted to touch him. Her fingers opened and closed in fists. The hard shackles of his hands prevented her from touching him the way she needed to. 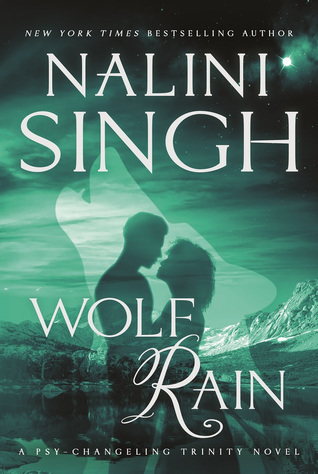 All she could do was squeeze his leg between hers, arch against his body and kiss him back, so she did, while her heart took off on a manic gallop, running as fast as it could straight toward him. His breath came and went rapidly, his wide chest working like a bellows. He drew back and stared at her, his strange, golden-amber-and-black-gaze fierce. Along with the muscles of his lean body, the lines of his face has sharpened. The realization crept in that she stared at an entirely dangerous man, and she had no idea what he would do next. “You could always just lock the door,” she whispered. Goodness, the things that fell out of her mouth on this trip. His face blazed. Looking utterly barbaric, he ground his hips against hers. It tore a ragged cry out of her, because she had never felt like this before, never. Not with any of her dates or former lovers. Normally she was a calm, considering person, a bit of a nerd if she were to be quite honest, but now a strange, crazed creature had taken over her body. Wait, who just said that? She nodded drunkenly, staring at the finger. He kissed her again, swiftly and hard, and then with a growl he shoved away from her and the wall and strode out of the cabin. 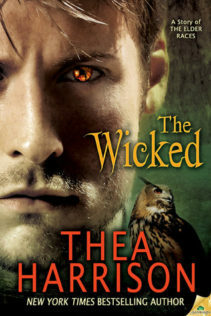 I love all of Thea Harrrison’s books. I wish it could have been longer. I want to know more about Sebastian and his expanded back story and future with Olivia. It was nice to have a little catch-up with Kahlil and Grace. I enjoy all the Elder Races books and I look forward to MORE! Thanks, Ms. Harrison, for my Elder Races fix until the next novel!